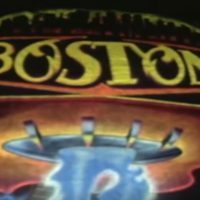 BOSTON: When a classic rock fan hears that name, they immediately think of a string of Top 10 Rock & Roll hits cranked out by a band they all know and love! Soaring vocals, melodic guitar work and perfectly crafted songs that have sold over 75 million copies worldwide. 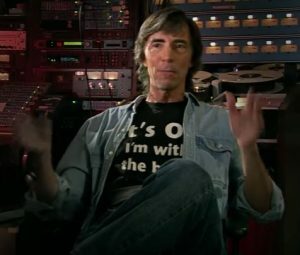 But, what most of us, as well as their record label, didn’t know, was that the songs were created by one man in his basement! 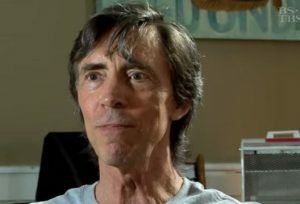 That man is guitarist, keyboardist, songwriter and producer Tom Scholz and he was the creative genius behind the sound of this beloved band. Here’s his story. 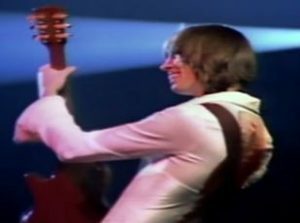 Tom Scholz first started writing music in 1969 while he was attending MIT, where he wrote an instrumental titled Foreplay. While attending MIT, Scholz joined the band, Freehold, where he met guitarist, Barry Goudreau and drummer, Jim Masdea. 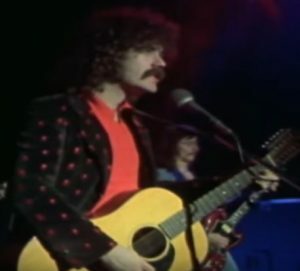 Vocalist Brad Delp was added to the collective in 1970. After graduating MIT with a masters degree, Scholz worked for Polaroid, where he used his salary to build a recording studio in his basement. Demo tapes were sent to record companies, but received consistent rejections. In 1973, Scholz formed the band, Mother’s Milk, with Delp, Goudreau and Masdea. That group disbanded by 1974, but Scholz subsequently worked with Masdea and Delp to produce six new demos by the end of 1975, including More Than A Feeling, Peace Of Mind, Rock And Roll Band, Something About You (originally titled Life Isn’t Easy), Hitch a Ride (originally titled San Francisco Day) and Don’t Be Afraid. He played all the instruments on the demos, except for the drums and used self-designed effects pedals to create his distinctive guitar sound. This final demo tape attracted the attention of promoters, Paul Ahern and Charlie McKenzie. Masdea left the band around this time. Scholz and Delp signed a deal with Epic Records after Masdea’s departure, thanks to Ahern and McKenzie. Before the deal could be finalized, the band had to do a live audition for the record company executives. The duo recruited Goudreau on guitar, bassist Fran Sheehan and drummer Sib Hashian to create a band which could replicate the richly layered recordings live on stage. The showcase was a huge success and the band agreed to put out ten albums over the next six years. The record label then insisted that Scholz re-record the demo tapes in a professional studio. However, he wanted the record to be recorded in his basement studio so that he could work at his own pace. The label agreed and offered to split the producer’s royalty with Scholz. Upon request of Scholz, Masdea played drums on the track Rock and Roll Band and the instrumentation was recorded in Scholz’s studio. 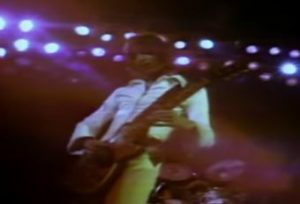 The multitrack tapes were then brought to Los Angeles, where Delp added the vocals and the album was mixed by John Boylan (who had also managed Linda Ronstadt… in particular, introducing her to a then unknown group of musicians who went on to become her backing band in 1971 and later became the Eagles). It was then that the band was named Boston, by suggestion of Boylan and engineer Warren Dewey. Even after the untimely death of original lead singer Brad Delp in 2007, the band continues to work to this day, having made a total of 6 albums. …and there’s the story of how one man in his basement created a rock empire and one of our favorite bands of the classic rock era! Check out additional PBS video archives here! Reno ROCKS! Remember these shows?